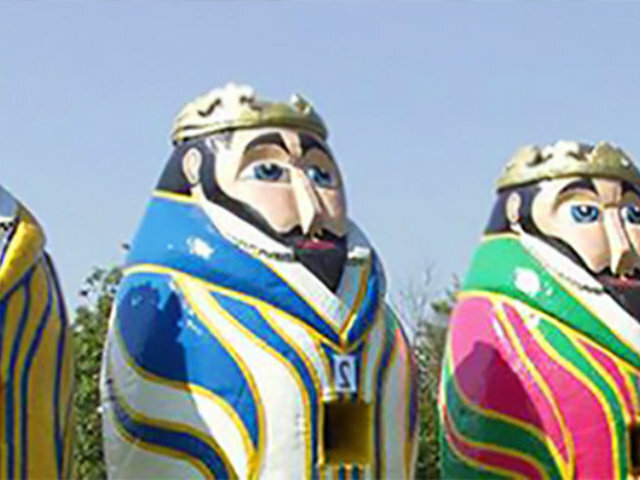 Relive the Classic it’s a knockout TV show from the 70’s & 80’s. 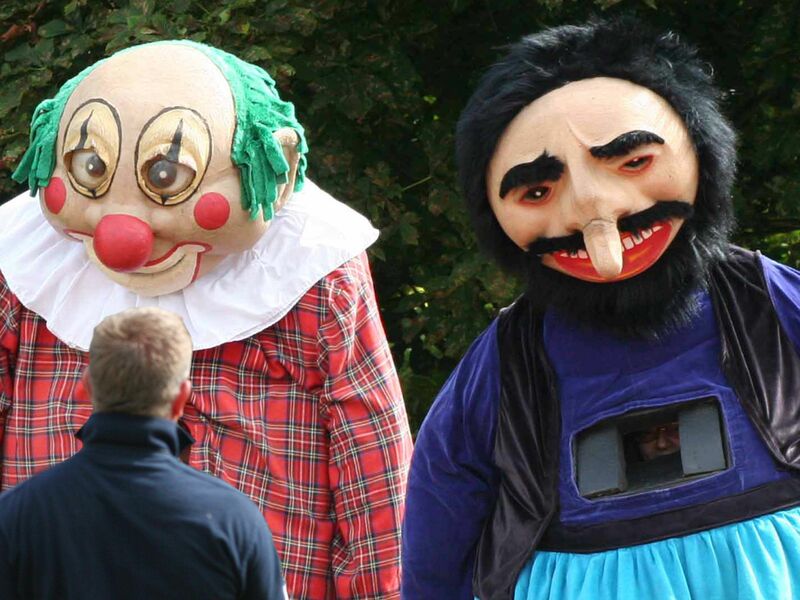 Wearing a variety of foam rubber costumes, your stag do group will take part in ridiculous games and challenges including large inflatables, greasy poles, slippery logs and gunge. Competing against other teams, wearing the original BBC’s costumes, the aim of the day is to score as many points as you can for your team to become the ultimate Winner and claim a bottle of bubbly! 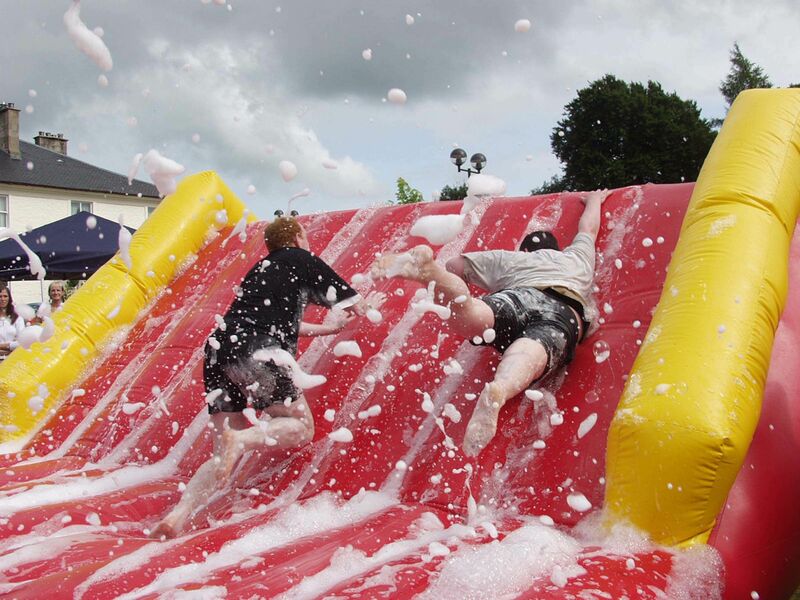 Brighton It’s a knockout stag do games include all the classics like, Super Suds, Fe! Fi! Fo! Fall!, All Hands on Deck, Dizzy Donuts, Penguin Pursuit. Super Suds – Can you escape the suds? Fight your way through this foamy game and collect a soak from the inflatable washing machine. When everyone in your team has had a go, the team with the most pairs of socks gets the most points! Fe! Fi! Fo! Fall! – Try your best to dodge across the magic carpets dressed up in hilarious, 10ft tall original costumes. As you race to return, the opposing team will be pulling the carpet back and forth. The player who returns first (and fully dressed) receives max points! All Hands on Deck – Choose your team wisely, as this one is all about working together! Transport each sailor (teammate) across the rocky waters of the giant inflatable to safety on the other side – sounds so easy, right? Dizzy Donuts - Choose a teammate to be the target and then attempt to toss your inflatable donut rings over the player. Once they’re all secure, work together to complete the slalom race before dropping to the ground and rolling your team member back to the beginning first for max points. Penguin Pursuit – Think you’re the strongest penguin around? 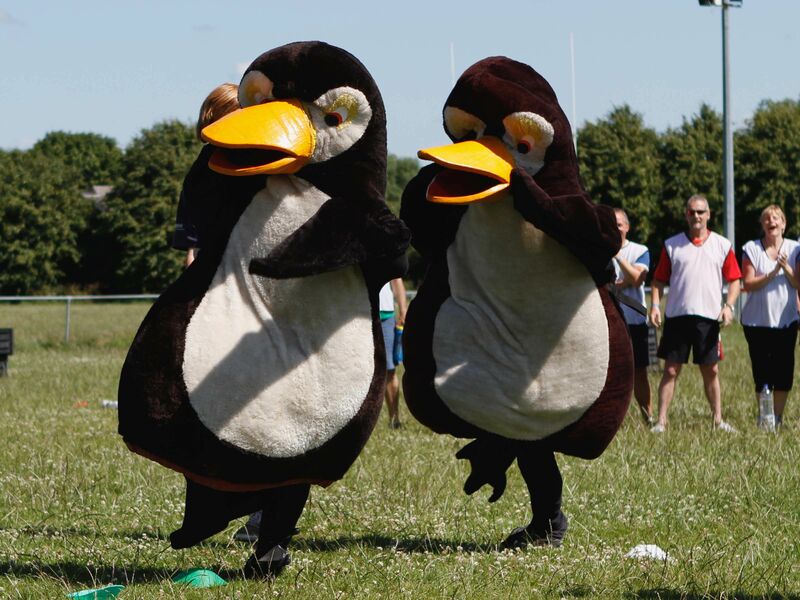 Jump into your costumes and run anticlockwise round the course, trying to catch the penguin in front and eliminate them from the heat. The remaining penguins will take on the ring of ice for a crazy penguin sumo wrestle! A mixture of classic games & challenges this 2 night Brighton It’s a Knockout stag weekend offers a helpful local bar guide, It’s a Knockout activity and nightclub entry.